﻿﻿Our body has an amazing ability to heal itself, and when faced with a wound most of us take for granted that it will heal. For some however, the wound healing process can be very slow, and some become chronic. In such cases, extensive treatment is required, and even then, the wounds may never heal and amputation is required. Although the precise global burden of chronic wounds is unknown, the economic burden is well documented in the developed world. In USA alone, it affects around 7 million people, and over $20 billion is spent annually on treatment. Unfortunately, the burden is growing rapidly due to an aging population and a rapid increase in diabetes and obesity. The Norwegian startup Biovotec uses eggshell membranes to develop advanced and affordable wound care products. The extra cellular matrix (ECM) is often damaged in chronic wounds, but the composition of the eggshell membrane is compatible with our own healthy matrix and it has a natural bacteriostatic and anti-inflammatory effect. 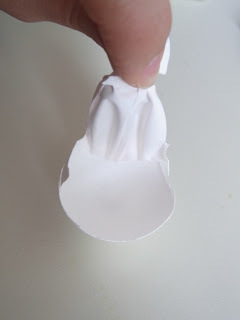 The company has exclusive access to a novel technology that allow the harvesting of eggshell membrane in line with industrial egg crackers, and the unique supply chain provide unlimited, readily available, biologically safe and low cost material. Patents have been filed on the purification of the membranes, and patents on the formulation process have been granted in US and Japan. 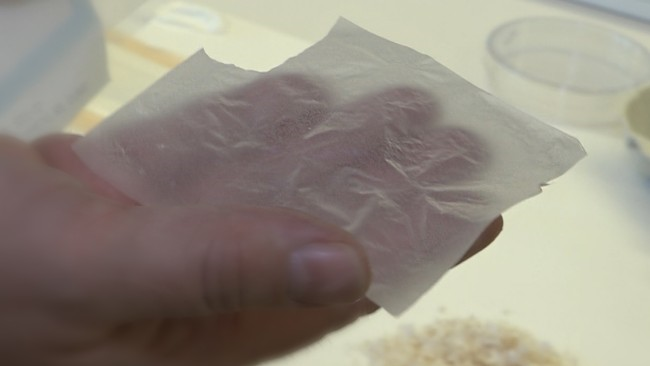 The final product is a thin bandage that help heal wounds. After successful pre-clinical studies, the startup raised NOK 15 million to prepare and conduct the human trials necessary for the CE-Mark approval. They were also awarded €1.3 million from EU’s SME Instrument Stage 2 project grant. Biovotec is now working with the Irish company Finesse Medical to produce the final product that will be used in clinical trials later this year. With their unique low-cost raw material, Biovotec is getting more and more attention, and they are not short on confidence. They aim at becoming the preferred solution in the market for hard-to-heal and chronic wounds, a market that is expected to reach over $20 billion by 2020. However, they are not alone in targeting the market, with several innovative products and startups eyeing an opportunity, like LeucoPatch. It will be interesting to follow the development of the market, as well as the products, and who will be the preferred option to treat chronic wounds.